Pest monitoring Once the crop emerges, watch for wilting, lighter green plants, or reduced growth that may indicate a maggot infestation. Pull up affected plants, and check roots and soil to confirm the presence of maggots. If several rows of seedling plants are infested, plants may be removed and rows replanted. Drenching with insecticide is also an option, but such treatments are difficult, costly, and may not be adequate. If roots are tunneled but no maggots are present, maggots have left the roots to pupate, and insecticide treatments have little value. 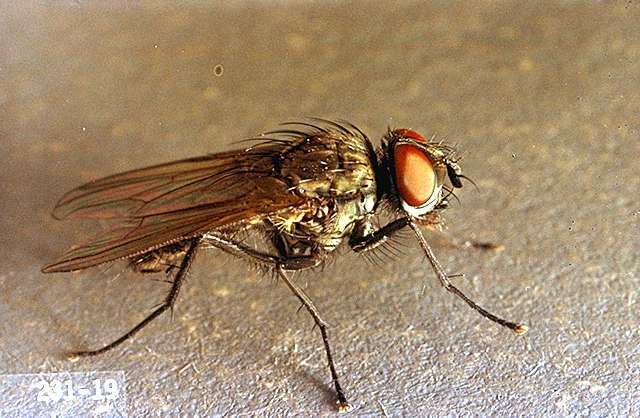 Sticky traps and sweep nets also can be used to monitor the adult fly. Rove beetles prey on maggot eggs and young larvae. 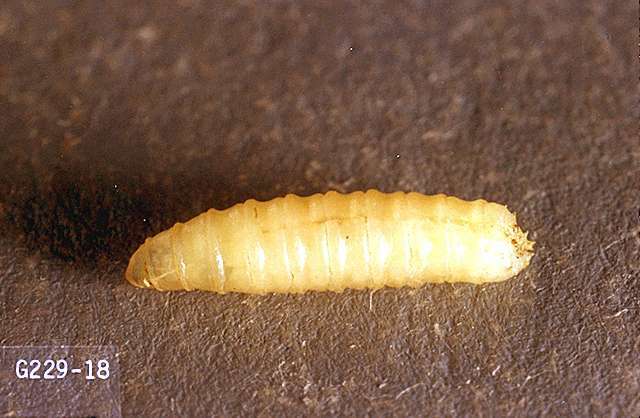 Rove larvae parasitize the pupa stage of the maggot. The parasitic wasp, Trybliographa rapae, lays its eggs in the maggot larvae if the larvae are close enough to the soil surface. Biological controls cannot be counted on to provide adequate control. Where maggots are a perennial problem, grow seedlings for transplants in fumigated soil in the greenhouse or under frames of clear plastic. Avoid hardening transplants near infested fields. Direct-seeded crops may avoid some injury when a set of drag chains is attached behind the planter to eliminate the moisture gradient in the seed row. 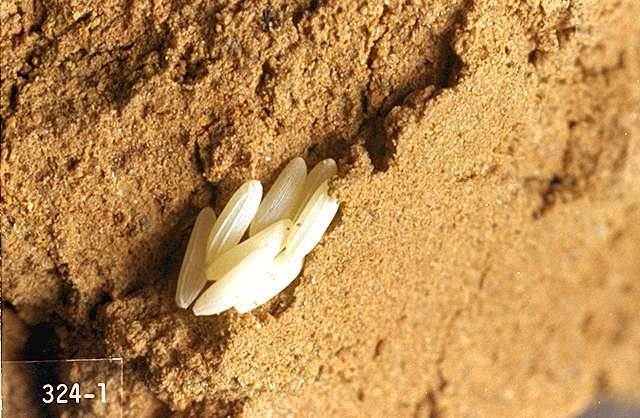 It is believed that adult flies can locate the seed row for egglaying by honing in on the higher moisture levels created when the soil is overturned for planting. Older plants may outgrow moderate cabbage maggot populations if maintained with a careful irrigation schedule. Always disc under crop residues immediately after harvest. Maggots can survive for some time in crop residue. Do not follow susceptible crops with susceptible crops, unless sufficient time has passed for the residue to dry or decompose completely. 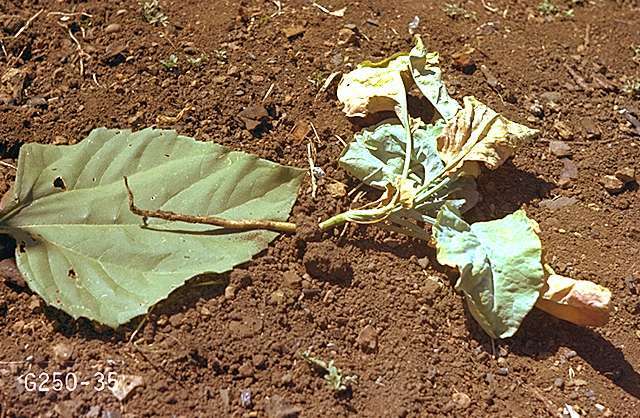 Every year, in areas where cabbage maggot causes economic injury, treat spring planted or transplanted crops with a band of insecticide at the base of the plant at the time of planting or transplanting. Later sprays cannot be relied upon to control the pest effectively. Treat seedbeds for transplanted crops with an insecticide. chlorpyrifos (Lorsban Advanced 2ee) at 2.1 lb ai/a. PHI 30 days. REI 24 hr. Apply at planting. Use only once per year. OR and WA only.